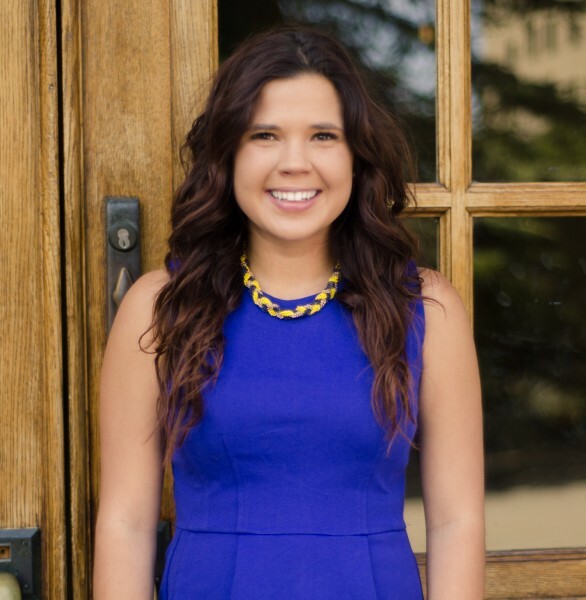 Pre-Law Q&A: Tatum Wheeler, Research Associate at Sierra Leadership | Blog | Ms. JD | Determined to Rise. In this "Pre-Law Q&A" series, Ms. JD Pre-Law speaks to students and graduates around the country who are thinking about going to law school. Our guest today is Tatum Wheeler. Tatum is a graduate of UC Berkeley, where she earned a B.A. in Political Science and B.S. in Society and Environment. She now works in the Bay Area as a Research Associate. Hi Tatum! Thanks for speaking to the Ms. JD Pre-Law blog today. Let's jump right in with the big question: Why are you interested in applying for law school? Tatum: I am attracted to an education in the law, because it provides such a unique way of approaching issues. It also provides a career path that simultaneously promotes a constant quest for learning and the ability to make a real difference in other's lives. Every experience that I have had with the law and the legal profession has only left me even more eager to attend law school and more sure of my goal of becoming a lawyer. My mother has worked as a legal secretary for her entire professional career, which offered me an informal introduction to the law. Dinner discussions included topics such as how various laws affected cases and her interactions with the court systems. I was also able to gain some experience at the firm she worked at during high school which provided me some initial insight into the day-to-day work of lawyers. Entering college, I was worried to pigeonhole myself as solely a pre-law student, so I sought out opportunities to affirm whether pursuing a career in law was the right path for me. I took advantage of externship opportunities to learn more about government and private firm attorneys and took advantage of our affiliate law school by attending conferences open to undergraduate students. I would encourage undergraduate students to seek out legal opportunities. Even if you don't have the flexibility to join a pre-law organization, simply joining an email listserv can make you aware of opportunities to interact with those in the profession. What's one thing that you're passionate about? This can be related (or completely unrelated) to law! Tatum: Self-care is extremely important to me. Personally, that means running with my dog every morning, catching up on current events through theSkimm during my morning coffee (I'm a Skimmbassador so feel free to sign up through my referral link), and using an old-school planner to prioritize my responsibilities for the day. Some people equate self-care as being selfish. In my experience, it's an understanding and committment to a handful of activities that allow you to be your best self in both your professional and personal life. Do you know what legal practice area(s) you might be interested in, yet? Tatum: It seems that every time I answer that question, I run across a new area of law that I had not yet considered that captures my interest. Currently, that area is sports law, and specifically, contracts within sports law. Recently, I've been following the public private partnerships associated with the Oakland Raiders move to Las Vegas, an issue that resonated deeply with many members of my community. You've recently started writing a "Pre-Law FAQ" series for the Ms. JD blog. Can you tell us more about your plans for the blog? Tatum: As someone who has sought out pre-law information, I recognize that many articles contradict each other or have an underlying intention of selling their services. In writing this blog, I hope to provide a non-commercial, nuanced perspective on common pre-law questions. As a first-generation college graduate, I recognize that sometimes there is a lack of access to information and opportunities. In blogging, I hope to level this playing field for my fellow pre-law students. There are, of course, exceptions to this and I would like to share some of the great sources of information I have come across. The Council on Legal Education Opportunity fund also has some wonderful opportunities for all pre-law students, from high school to post-grad, and entering first year students. I highly encourage anyone interested in entering law school to attend one of their events or seek out their application services. For those more interested in LSAT and admissions related advice, I recommend the Thinking LSAT podcast by Nathan Fox and Ben Olson offers a weekly snapshot into LSAT related questions, pre-law advice, and changes in admissions policies. I am a huge proponent of Nathan Fox's LSAT books and am looking forward to interview him in a future post. He also has a free online class related to the June 2007 LSAT for those of you who just finished your first diagnostic. Ann Levine, author of the helpful The Law School Admission Game: Play Like an Expert and law school admissions consultant, similarly has some great blog posts on law admissions questions and advice. For broader pre-law advice, Lawschooli has some great articles and LSATHacks has free explanations available to modern LSAT questions. One area that I hope to delve further into is the day-to-day schedules of law students and law practice. In interviewing current law students, I hope to present a realistic portrayal of what law school entails and show how different students balance their commitments. By expanding on what a lawyer's daily schedule looks like, I hope to not only help those that are interested in particular practice areas, but also offer a bit of perspective for those who think they may be interested in the legal profession, but don't have the capacity to interact with lawyers. If anyone has any recommendations for future posts or any questions that they want answered about the pre-law process, I encourage you to reach out. Finally, what's a piece of advice or something you've learned in your pre-law journey so far, that you'd like to share with our readers? Tatum: By becoming a lawyer, you're investing in yourself and your ability to affect change. Own that. Make the most of this opportunity by studying the right way for the LSAT, reviewing your personal statement as many times as it takes, and being unabashed in asking for help or in pursuing different opportunities. If you ask, the worse that you can be told is no. I really appreciate that you included the word "journey", as it really is a process that does not just follow a single path. I thought that I had my preordained pathway to law school when graduating and I've realized since that everyone's journey is different. Thanks for chatting with us today, Tatum!